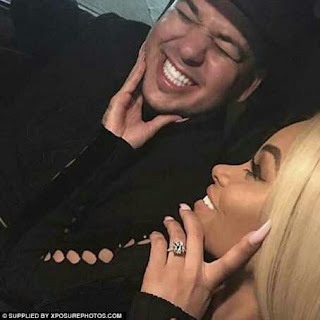 Blac Chyna is trying for baby with Rob to become 'most famousKardashian of them all' - and she wrote down all the SECRETS ex-BFF Kim told her, reveals author - BlogIT with OLIVIA!!! 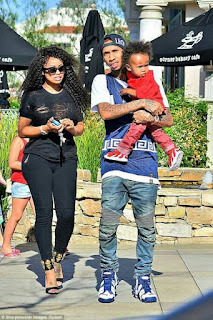 Ian Harperin, daily mail writer reveals how the curvaceous model Blac Chyna has vowed to become the most famous Kardashian of them all - supplanting even former BFF and now sworn enemy, Kim. According to him, Blac Chyna is still something of a reality TV enigma - but she could soon be its biggest and most brazen star.Just a few years ago she was a complete unknown, flaunting her curvaceous body in strip clubs while trying to catch the eye of minor rappers.Today she is on the brink of becoming a fully-fledged Kardashian - with a ruthless 'master plan' to marry Rob and supplant Kim, Khloe, Kourtney and Co. as the family's most famous member. Well, let's see how that will harm. Pictures below are the men Chyna dated before been engaged to Rob.